Manage student's computers in Class. | Planet TechEd Inc. Manage every student computer without leaving your desk! Educational institutions everywhere are using technology in the classrooms in order to provide a better and more complete learning process. Manage the student’s computer in the class can be hard to do if not using the proper tools. 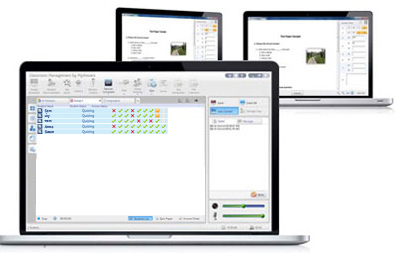 Mythware Classroom Management Software provides a complete set of features that allow the teacher to manage the student’s computers in class without ever leaving the desk. Providing the right classroom management tools for the teachers is the first step to have an organized classroom and use technology to help. Technology tools must be used wisely, Mythware has made sure to provide a set of features that allow the teacher to manage the student’s computer in class but also allows them to be able to interact with the student when needed, assess them or even chat with them if necessary during the class. Mythware classroom management software has proven to be the best classroom management software available in the market that allows full management of student’s computers in class. Mythware Class Management Software provides a complete set of features, designed to be easy to use and to secure a successful learning process for every student. This tools, not only allows the teacher to manage students computers in class from their own device, this class management software allows the students to interact with the teacher if needed. A quick comparison between industry leaders and Mythware class management software will prove that Mythware has the best and most unique features available. These are some of the features that Mythware class management software offers to help provide all the tools needed to achieve the success wanted in the classroom. Looking for the best alternative for a class management software can be challenging, this is why Mythware provides a free version ( which is a complete version of Mythware) for up to 5 users. This allows even small classrooms to have the best class management software and also, allows our clients to test for an unlimited amount of time. 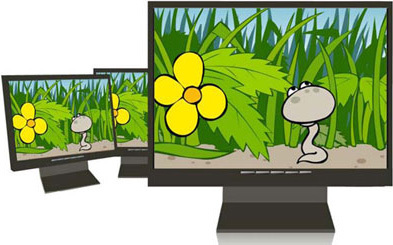 See for yourself how to use Mythware to manage your student’s computer in the class.